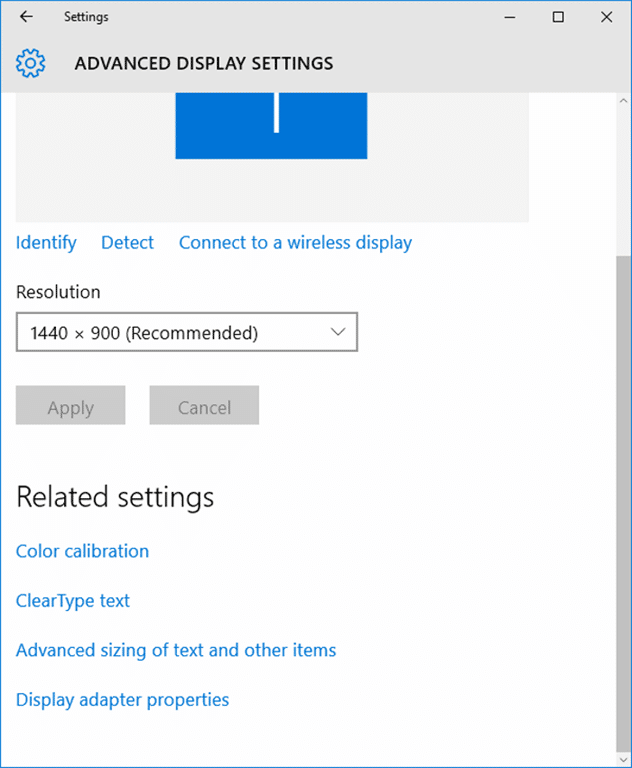 In Anniversary Update (version 1607) and earlier versions of Windows 10, we could navigate to Settings > System > Display > Advanced display settings > Advanced sizing of text and other items to change the text size of various items. We could easily change the text size of title bars, menus, message boxes, palette titles, icons, and tooltips. In the recently released Windows 10 Creators Update, the Advanced sizing of text and other items has been dropped for some reason. If you remember, in Windows 7 and earlier versions, there was a separate section Advanced Display Settings to change the font and text size of various items. 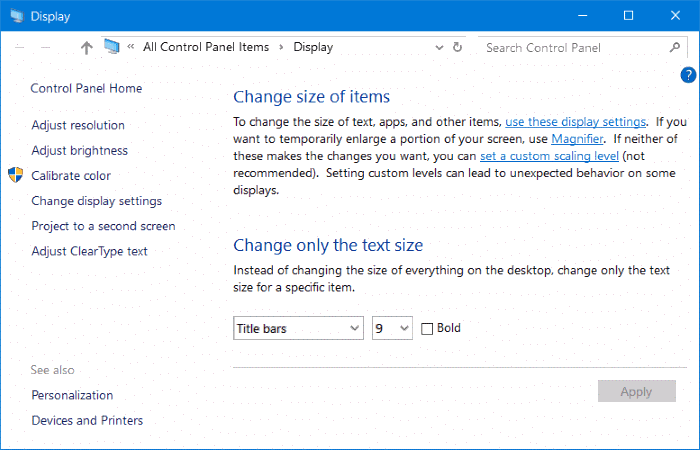 In Windows 8, Advanced Display Settings was replaced with an option only to change the text size of some of the items mentioned above. In Creators Update for Windows 10, Microsoft removed controls over text size of icons and other items. So, in Windows 10 Creators Update, you cannot change the text size of title bars, menus, icons and other items without manually editing the Registry. Although you can change the text size by changing the default scaling, it will also change the size of icons, apps, and other items. In short, you cannot change only the text size for a specific item unless you opt for the tedious Registry editing way. To change the default scaling, please navigate to Settings > System > Display. You can also change the screen resolution here. We will soon come up with a detailed guide to change the text size of various items in Windows 10 Creators Update using Registry Editor. Does this still work in Windows 10 Professional version 1809? I don’t see how to change fonts in File explorer. I really need this fixed as well especially since I’m in denial of needing glasses. But most importantly, I need to be able to assist users who may need to customize their user experience. It was so easy to do in pre-Windows 10 versions. I still love Windows XP, 2000, 98 and 95. LOL. font size 9 is not OK for me. My monitor is a 24 inch asus PB287Q and resolution is 3840 x 2160. Therefore I need to be able to increase the font size to 12 or more – and I need the option to put the menu names and title bars in Bold. Please could you re-instate these options. As I recall this was a major issue with the initial release as well as windows not sticking where you wanted them to. This is the second time around for this issue and in my opinion a big mistake on the part of MS. It is frustrating and annoying to the point of no return. What’s worse is the scaling option is a joke as it is not gradient enough for anyone to use in my opinion. Who in their right mind would believe a font size of 9 is sufficient for everyone to use. People are so caught up in the Apps, IOT, and Cloud software as a service that they have lost focus on those of us who actually use the products. I am very much looking forward to that Registry Editor guide. Thank you!